What Makes an Effective Sangha Discussion? While it is the dharma teacher’s role to set the tone for a sangha discussion, if there is one, participants benefit by knowing how to contribute in a meaningful way. A sangha discussion is not a typical support group where members share details of a personal situation. And we are not offering up problems for committee solution. Responding directly to a sangha member’s sharing with direct suggestions or recommendations is best left for after the meeting, if offered at all. 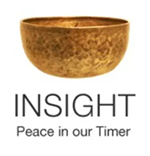 For the most part, a sangha discussion is about staying present with the energy in the circle, listening with compassion, and noticing the thoughts, emotions and physical sensations that arise when a challenging situation is going on. In general terms, a sangha member may share the nature of his or her experience — a loss, a challenge in a relationship, physical pain or disability, etc. — but is encouraged to stay present with the residual effects of the experience in this moment: How it feels right now, without needing to fill in all the juicy details of their story. This is not paving over or avoiding anything, but really sensing in to the experience in a way that may feel very different from our ordinary patterns of reacting to situations, emotions and thoughts. The personal becomes universal, so that regardless of the situation, the causes and conditions, sangha members can recognize the feeling described. You may hear dharma teachers instructing students to not ‘get caught up in the story.’ This word ‘story’ can be misunderstood, as if the teacher is saying what is being shared is not true. The teller may bristle because he or she sees it as telling the honest truth of the situation, and that the details, or ‘facts’ are important. We are brought up to believe that facts are the most important aspect of any situation. But, in fact ;-), for the purpose of exploring dharma (truth/Buddhist teachings) the details of any situation take the teller and the listeners into a very shallow, reactive place, from which they cannot learn or respond usefully. For example, if the listeners hear ‘mother-in-law,’ it is quite natural for the word to evoke a personal set of experiences that activate emotions and thoughts in them. This becomes a short hand for common human experience and though they can in some instances be useful, these kinds of details can short circuit the possibility of real connection and understanding by taking us away from the direct experience. Deep insight and connection come from pausing to notice the physical sensations that arise when a concern comes to mind, so the value of the sharing is much greater when a sangha member compassionately explores what is present in their experience of this moment, not by relating all the details of what happened two days, weeks or years ago to the group. The teacher might prompt, ‘Where do you feel it in your body when you think of this situation?’ or encourage the student to notice the emotion that is present and find where in the body that emotion is felt. This is something we can do on our own as well, whether in a sangha discussion or not. Anchoring into sensation we bring ourselves fully into the present moment, the only place where we have power to access what is really going on, the only place where we can take action, if any action is needed. This skillful sharing of current experience — which includes noting a memory or future thought passing through with all its emotional content — inspires the group members to stay present in their own experience as well. It grounds the sharing in a deep space of compassion, and it makes it possible for all to benefit. The sharer feels supported and safe to explore the experience of sitting with thoughts and emotions that are uncomfortable. Compare this to how we feel when we have ‘spilled our guts’ out to a group. We may feel we have been gossiping, because it’s rare that our stories don’t include other people, people that we care about deeply, but whom we have represented to this group only by their particular actions in this case. The unfairness of this shallow representation can make us feel badly, compounding our already complex set of emotions rather than freeing us from them. So the sharer may feel worse for the sharing. And the listener? How useful are other people’s stories? Sometimes they make us feel better about our own situation, and we are thankful that is not happening to us. This puts us into comparing mind. Some fearful part of ourselves wants to differentiate ourselves from the teller, assuring ourselves that that would never happen to us, or we think for us it would be different in some way for some reason. Just as likely, the hearing of a story puts us back in time, jerking us out of the present moment, to relive a similar experience. Or it puts us in fear of the future, knowing that it is very likely that we will at sometime be in that same situation and we dread it. Please remember that we are not insulating ourselves from other people’s problems. We have family and friends whom we know well, and with whom we share an intimacy that is quite different from a practicing sangha. A sangha is not built on the intimate sharing of stories or a history together. A sangha can be a gathering of people we barely know, or a mix of new and old members and of experienced and beginner practitioners. While friendships can certainly develop within the sangha, the sangha itself cannot be dependent on these friendships or it becomes stale and loses its purpose. A closed or exclusive sangha has lost its way. The purpose of the sangha is at all times to inspire skillful practice for staying present, and for fostering kindness, compassion, connection, balance and ease. But wait a minute, many dharma teachers, including myself, do share personal stories. The Buddha told many stories. Stories are important! Yes, a story that illustrates a point of dharma is valuable. A teacher who shares an experience has chosen that experience for that very reason. Hopefully the story will be told in a way that inspires rather than sets up an emotional chain reaction that takes everyone out of the moment. Of course, dharma teachers are human and may miss the mark with a story, but inspiration is the intent. Experienced dharma students and meditation practitioners may contribute in this way as well, making for a rich discussion that deepens dharma understanding. Of course, not all sanghas gatherings have discussion periods. Many are focused on a teacher giving a formal talk with time afterwards for questions to clarify understanding of the talk. The larger the sangha, the more likely this is to be the case. When you join a class, it is important to notice how the class is set up. If a teacher wants to create a discussion group, he or she will invite comments and sharing. If no invitation is forthcoming, a student can assume that silence is kindly requested so that the teacher may follow his or her train of thought of an often carefully planned dharma talk. Many times the question the student may have will be answered further along in the talk, so it is simply a matter of being patient. If the question is not answered, then when the teacher is finished, questions may be invited. If not, the question can be posed one on one after the class ends. When there is a discussion circle, participants can all contribute to the conversation by really listening to each other, staying open to the nature of the topic being discussed, and by being present and noting what arises in their experience of this moment. We may notice our own striving to be heard, to be seen in a favorable light. It’s interesting to notice the fear that prompts this need — a fear of disappearing, of not being valued. This is a shared human fear. Being compassionate with ourselves when we recognize it allows us to appreciate simply sitting in sangha in silence, until what we have to share seems to be called forth by the weaving of the dharma we are learning together. It enables us also to have great compassion for those in the sangha who, spawned by that same fear, may talk more than seems skillful. Wise Speech is one of the most challenging aspects of the Eightfold Path. That’s why being on retreat in blissful silence can feel so restful! When we are participating in a sangha discussion, may we stay present, sensing in to physical sensation at all times. May we recognize the past and the future as wisps of thought and waves of emotion arising in this moment. May we share this sense of presence with our sangha, for the benefit of all beings. This entry was posted in discussion, http://schemas.google.com/blogger/2008/kind#post, meditation, sangha on March 6, 2012 by Stephanie Noble. Yes. I have participated in “sharing groups” as discussed and sometimes found them to be very useful but usually, a rehash of past experience seasoned with the spicy opinions of others. Thank you for the distinctions. They encourage me to participate and to stay focused on the here and now.